Yorktel has achieved the Cisco Cloud and Managed Services Advanced Certification, and designation for TelePresence as a service (TPaaS) Specialization. Cisco’s Cloud and Managed Services Program (CMSP) is a comprehensive framework through which partners offer enterprise-class cloud, managed, or virtual managed services based on Cisco technologies. To earn the “Cisco Powered” designation, partners must complete an objective third-party audit of each service, proving they meet defined, enterprise-class standards. Per IDC, the most cited customer benefit of Cisco Powered cloud services is that they are enterprise class. Cisco Powered cloud services are based on validated design architectures and partner and service certifications that provide customers faster returns on their investment, assured performance, and continuous innovation. This validated end-to-end architecture allows for the effective delivery of customer service-level agreements (SLAs), which are so important for customers making initial, or deeper, transitions to cloud. “The ability to align with Cisco is an invaluable, empowering distinction that not only validates our position as a global leader in cloud-based video, unified communications and collaboration, but that will also serve as a catalyst for continued market penetration,” Lage said. Cisco Powered Video and TelePresence as a Service is a video conferencing offer based on the Cisco Meeting Server (CMS), delivered from the partner’s cloud to end users. TPaaS enables customers to use the cloud for video communications and collaboration, which unlike on-premise solutions, does not require prohibitive capital expenditures. Coupled with lower total cost of ownership (TCO) from its operation expense-based pricing, TPaaS delivers flexibility, security, and interoperability capabilities, as well as supports pervasive and reservation-less services. 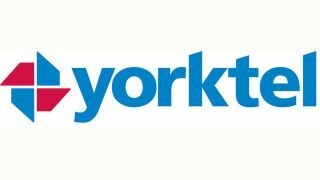 Yorktel’s offering, which brings added assurance by virtue of the company’s ISO 27001 certification, includes the following requisite capabilities for Cisco Powered Services designation: Service provisioning; change management; proactive monitoring; remote troubleshooting; network operations center (NOC); and customer SLAs. Additionally, Yorktel’s continuity managed services and professional services include technical and network assessments, and post implementation training, and adoption.